Transaction of Today…March 6, 1948 – The Boston Braves traded a player to be named later, Bama Rowell, Ray Sanders and $40,000 to the Brooklyn Dodgers for a player to be named later and Eddie Stanky. 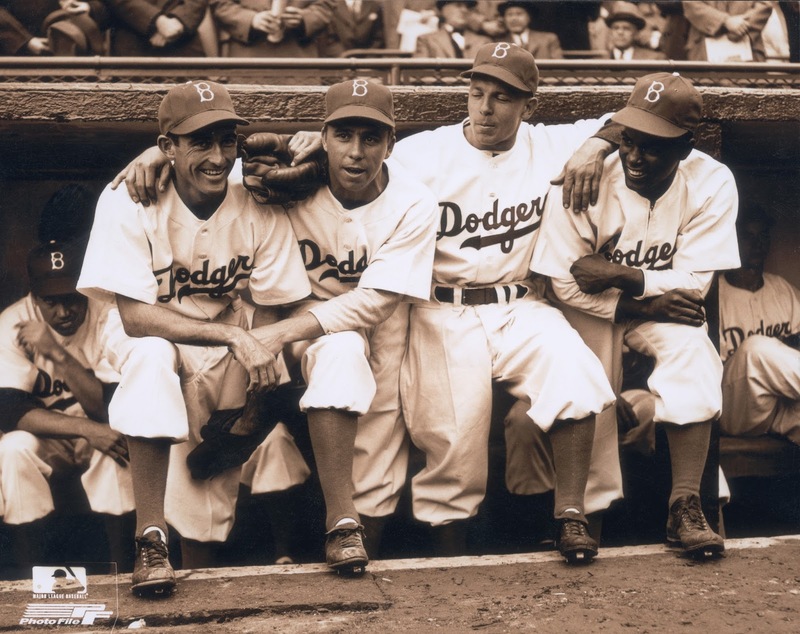 The Boston Braves sent $60,000 (April 18, 1948) to the Brooklyn Dodgers to complete the trade. The Brooklyn Dodgers sent Ray Sanders (April 18, 1948) to the Boston Braves to complete the trade. He only spent two seasons with the Braves, but Eddie Stanky’s role with the Braves was significant in delivering their final National League pennant before the move to Milwaukee. His role in Brooklyn before the trade was even more important. Stanky is a classic underdog story. Just 5’8″ (and maybe not even that), Stanky had hit .243 as a senior in high school. He still had the drive to become a professional ballplayer and no one was going to stop him from doing so. For nearly a decade, Stanky played middle infield for stops like Greenville, Portsmouth, Williamsport, Macon, and eventually Milwaukee before finally arriving in the majors as a 27 year-old in 1943. As a member of the Cubs, he played around the infield and hit just .245, but was a terror in the batter’s box. He crowded the plate and had an advanced batting eye, which helped him on-base .363. The next year, he was replaced by a new acquisition and feeling slighted, gave the Cubs the choice – play me or trade me. They did the latter. Brooklyn became a second home for the man who was born in Philadelphia. In his first full season, he hit .258 with a .417 OBP. In 1946, he was even better. Slashing .273/.436/.352 as the Dodgers’ second baseman, Stanky received nearly as many votes for MVP as his popular double play partner Pee Wee Reese. Even more impressive was how Stanky remained focused despite spending the entire season with the knowledge that the Dodgers had somebody in AAA that played the same position as he did and was on his way. Stanky’s words were probably far more R-rated, though. Stanky’s numbers fell in 1947 from his brilliant campaign the previous year, though he still went to his first All-Star Game. After the Dodgers lost to the Yankees in the World Series, the writing was on the wall for Stanky. He had hit .263/.405/.336 as a Dodger with nearly 300 more walks than strikeouts, but the Dodgers were moving Gil Hodges to first base and bringing Roy Campanella on board. Second base was going to belong to Robinson. That allowed the Braves to swoop in and acquire Stanky in exchange for Bama Rowell, a utility player who wouldn’t last two weeks before being sold to the Phillies. Stanky got off to a stellar start with the Boston Braves and became a big part of a strong team that had Bob Elliott at third, Tommy Holmes in the outfield, and the combination of Johnny Sain and Warren Spahn in the rotation. The diminutive second baseman would be selected to play in his second All-Star Game after hitting .325/.462/.429 through the first 61 games, but wouldn’t play in the Midsummer Classic. In a game in Brooklyn, he had collided with a Dodger at third base. The result was a broken ankle and a torn ligament. He would miss most of the remainder of the season before returning for the final week as he tried to get his swing back in action to contribute. A shell of his first-half self, Stanky battled through the pain and played in all six games of the World Series against the Indians. He picked up four hits and walked seven times compared to zero strikeouts. It wasn’t enough to push the Braves to their first title in over 30 years, though. After the season, he had surgery on his ankle and doctors removed two bone fragments. It may have been Boston’s rock bottom moment. The Braves struggled to a fourh place finish that included Southworth having what may have been a mental breakdown and abandoning the team for the final 45 games. After the year, Boston traded Stanky to the Giants. He flourished back in New York, though a third trip to the World Series ended like the previous two as the Giants lost to the Yankees in 1951. The following season, despite excelling on the field, Stanky began to take a step away from his playing career and become a manager. He spent 1952-53 as a player-manager and led the Cardinals to above-.500 finishes, but a third-place finish each time. They finished sixth in ’54 and Stanky’s uncompromising style rubbed many of his players the wrong way. 36 games into 1955 with the Cards in fifth place, Stanky was fired. Stanky remained in baseball, working as a coach and scout until getting his next managerial gig as Al Lopez‘s replacement with the White Sox in 1966. Stanky was the complete antithesis of Lopez, who was a player’s manager. Stanky pushed each of his players to play like it might be their final game while also being stuck in the playing style of the 30’s and 40’s. The White Sox remained competitive with the help of a great pitching staff, but never finished above fourth place. In 1968, Stanky resigned and was replaced by Lopez, who returned to the helm. He left the majors and tried his hand at college baseball. Learning that winning-at-all-costs doesn’t work over an entire season, Stanky utilized his entire roster and built a powerhouse at Southern Alabama. With Stanky at the helm, they never had a losing season over a 14-year run with the squad. Mixed in during this time was a brief career as the Texas Rangers manager. They won one game with Stanky in charge, but he quickly resigned because he was homesick. Returning to his adopted Alabamian home, he resumed his role as the Southern Alabama coach. Stanky managed until 1983 before retiring. Sixteen years later, at the age of 83, he suffered a heart attack and passed away.